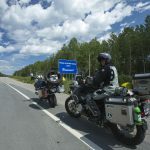 Preparation of a motorcycle trip that will last for more than 6 months and on a distance of over 20000 km is not made lightly. 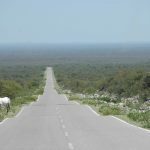 This is certainly not an improvisation exercise and requires careful and meticulous planning in order to minimize risks and ensure that the time spent travelling is done so for the adventure and not spending time handling problems! I have prepared in different ways, for almost 10 years! The first step was to choose the right motorcycle. This is a matter of preference and taste and the options are various. 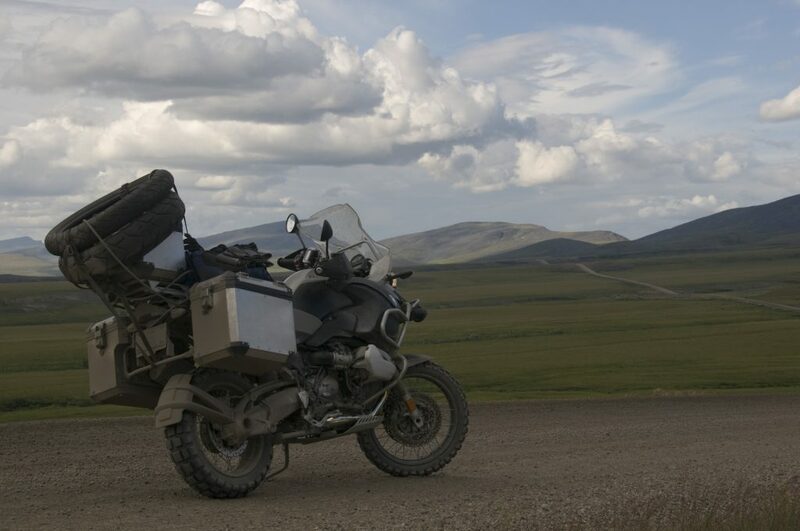 Mine is a BMW R1200GS Adventure. But lets se how this came about. 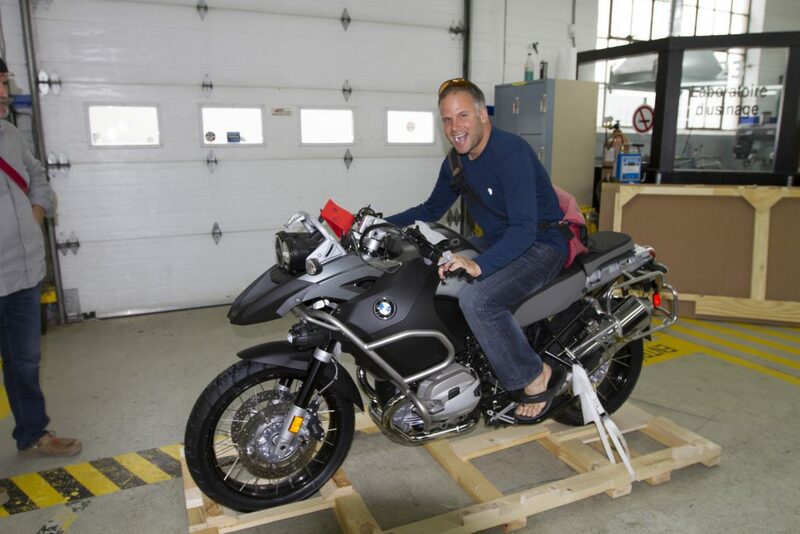 In 2007, I bought a R1200GS. GPS: mandatory! The model chosen (Garmin Zumo 550) was perfect. Yes I know, some will say that the good old maps make are sufficient, but for my part, I have no time to lose toget lost. There are so many interesting things to see that I do not have a couple hours to spare each day to find an address or a motel. This is a tool I use to the maximum and even if things wiil be different (inacurate maps) in Central and South America, I intend to use this tool everyday. Widder heated vest with sleeves: I could not imagine doing a motorcycle trip without this piece of equipment, it’s as simple as that! The advantage of the Widder was its strong connections and dimmer which offered the possibility of fine adjustments to the desired temperature (I now have the Powerlet model, allowing the addition of heated gloves). Throttle Lock: Although this is not a cruise control as such, this little mechanism used to lock the throttle grip and to, time to time, rest my arm. In addition, I could handle things with my right hand (zipper, helmet, food …) which is a great advantage. I could not imagine such a trip without this equipment! Tire change, basic mechanics: Having practiced tire changes and making basic maintenance to the bike, I felt prepared for possible problems. 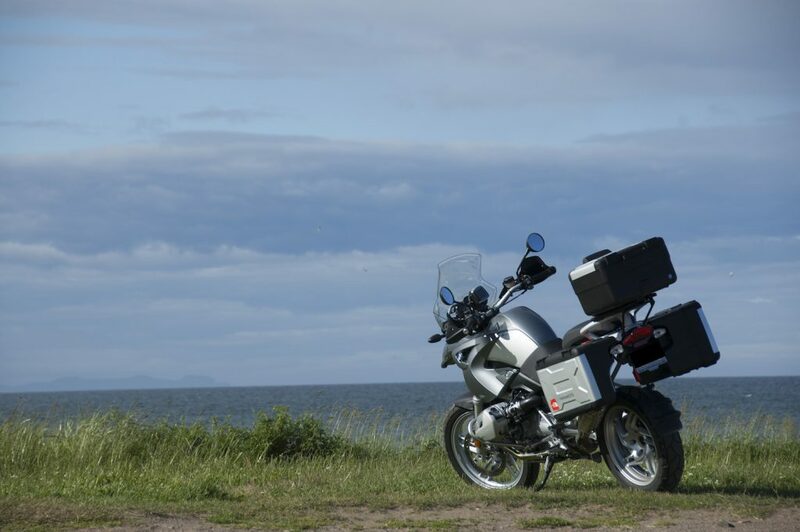 Seat: The original seat of my BMW R1200 GS Adventure is firm, durable and comfortable for many situations, but is not designed for long days of driving and was certainly one of the most negative points of the trip. Despite the addition of an AIRHAWK cushion, pain appeared quickly and became unbearable. I purchased a saddle Sargent, what a difference! Helmet: I used a helmet Nolan N102 for 2 reasons. The first is that it is modular, allowing me to raise the entire front. For me it is a priority! It gives me freedom of action, but mostly makes hot days much more pleasant, besides the fact that you can more easily communicate (gas station, Customs and others). But frankly, I hate the helmet. Just too heavy, very noisy (wind), poor sound (music), bad sealing (rain enters the visor even when completely closed, very fragile ( I lost parts from the helmet because of the wind), the connectors must be handled with care, because the internal welds easily brokes (2 changes under warranty), expensive (with accessories, almost $ 1000 !!! ).For a trip to South America for example, it is not an option. I turned to the BMW System 6 helmet that I’ve now used and loved for 3 years! These changes were tested in 2011 during additional long trips (Labrador, Newfoundland, California) and other shorter but off the beaten track in Vermont and Quebec. Nothing is perfect but I’m comfortable with my equipment and I am confident that everything will be perfect for a trip to South America. The preparation of this trip and the experiences I’ve had will be key to this journey. In 2010, the bike had already over 130000 km so I decided to sell it and purchase of the same model from 2010, in order to travel to South America (initially scheduled for 2012 or 2013). It is on this bike that I will do my journey in 2016. It has 53000 km on the odometer and is in very good condition. The next posts will focus on each of these preparation steps! Why am I doing this trip? We like the flip flop biker ‘boots’ Marc. Live free or die! Seriously, I would never ride in flip flops!